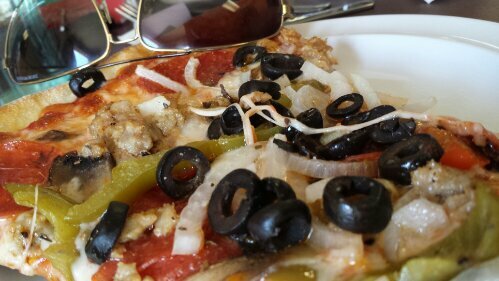 Capriccio is one of the top 3 pizza restaurants in Richmond. Having moved to Richmond from the Northeast, I am a pizza snob. Of course, everyone knows that the pizza in the Northeast is the best in the country. We were very happy to have found this place. It’s good New York style thin-crust pizza with just the right amount of attitude. 2 slices of pizza for lunch will cost $4.20. Capriccios is at 9127 W. Broad St. Richmond, VA.